When? Every Friday night, kick off at 8pm. 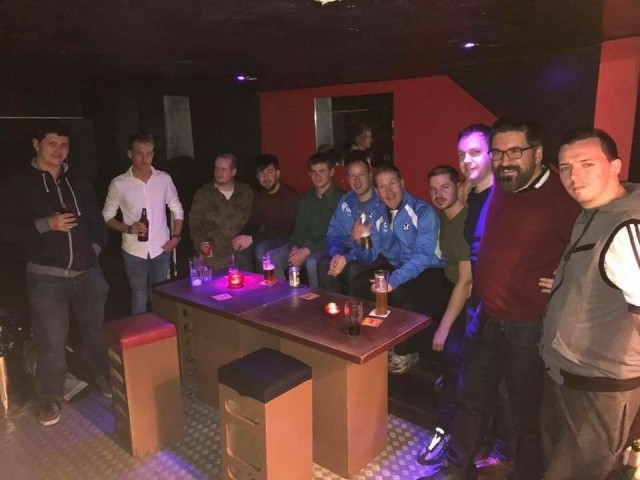 Saltire Thistle FC have recently launched a new weekly night of social five aside games for those who want to play football with like-minded people but without the pressure or commitment of competitive 11 aside games. These games are open to anyone regardless of ability, gender, sexual orientation, age, race or disability and are all about using football as a means of meeting new people, making friends and just enjoying yourself. They meet every Friday night at 7.45pm at Powerleague Glasgow, Townhead. The game kicks off at 8pm for one hour and afterwards we head out for drinks and maybe some dancing too! Games cost £4 per person and you don't need to join the club as a member to take part. If you're interested in taking part, then they would love to hear from you. You can message the club for more information via a range of channels here. Alternatively, just show up on the night with your boots (and preferably shin guards!) and ask for Saltire Thistle. You’ll usually find them wearing blue training kits. Friday Social Fives gets underway on Friday September 22nd. Written on 14th September 2017.